James Michener devoted 909 pages to an archaelogical dig based on Beit Shean in The Source. That historical novel traces the fate of one spot of land from primeval times to the eve of the 1967 war. Canaanites, Romans, Philistines, Crusaders, Turks, Arabs and Israelis take their turns on history’s center stage. But for all the comprehensiveness of that popular novel, Michener was unable to mention what is perhaps the best falafel stand in the world, Zehava’s. I had the good fortune to eat lunch at Zehava’s after a visit to the Beit Shean archaelogical site last April as part of my AIEF trip. Yaffa, a the sister-in-law of the proprietor, Yariv, is constanty frying exquisitely prepared balls of falafel. Yariv does enough business that he just hands you the basic sandwich, leaving it to you to go to work at the condiment bar. Yariv offers a full variety of pickled vegatables, hot sauce, and other toppings — probably three times what you’d find at Rami’s in Brookline. What makes the falafel so good is its moist texture. One longtime annoyance for me is the dried up extra-hard falafel one gets throughout the American Northeast, particularly at health food stores and vegetarian restaurants. You’d think that people who don’t eat meat would care enough food to make sure they get real taste value out of their vegetarian, even vegan food. Well, Zehava’s is the exact opposite. Yariv let me get behind the counter. Between serving customers, he explained he’d been in business for some 25 years. “We have the best falafel in the Middle East,” he asserted. While I can’t verify his claim — I can’t get to Syria and have heard good things about Egyptian falafel — his product is outstanding. In addition to being extremely tasty and moist, it has an attractive green color. Yariv held the secret to his recipe as closely as the governments of Israel and its enemies keep theirs. He did confess to me that fresh parsley helped give the falafel its color. 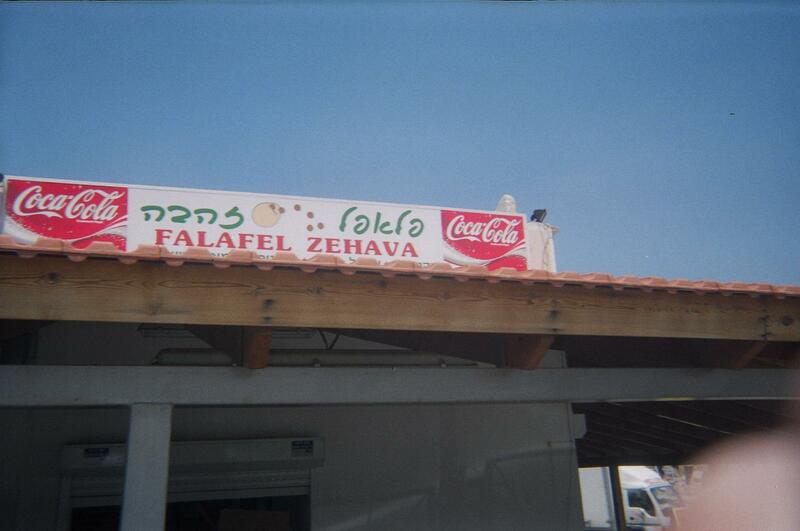 Zehava’s is a real gem for anybody seeking quality inexpensive food in this ancient part of the world.